Tumblr has found a new way to bring its users together with the Reblog Book Club. Launched on September 10, 2013, it’s the first official book club that Tumblr has sanctioned and in the week since its first post (a few days before the official launch), the blog has already accumulated 102 more posts, many through submissions to the blog and the reblogging of other Tumblr members’ posts. This might be my favorite participant in the Reblog Book Club – Dennis the Library Guy! The topic of discussion for all of these posts has been the Reblog Book Club’s first book, Fangirl by Rainbow Rowell. The author is a prolific Tumblr user herself and the book’s protagonist is one that many Tumblr users can relate to. 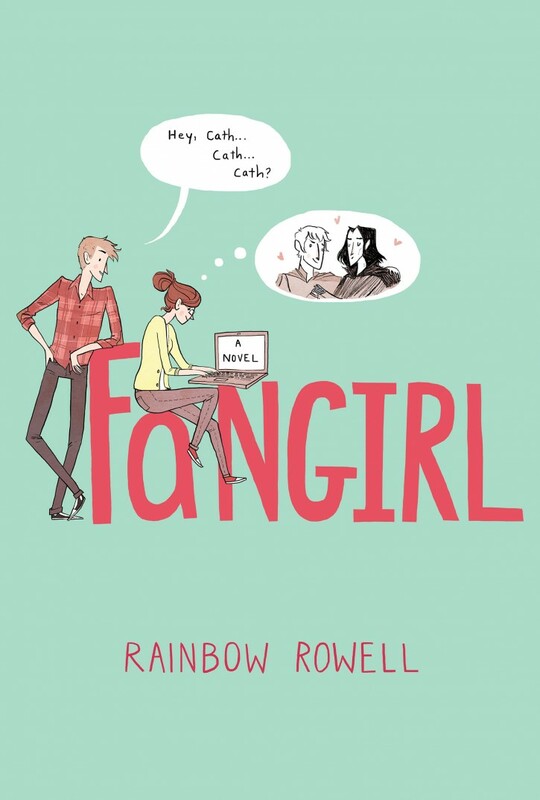 Fangirl follows Cath, a college freshman who grew up as a Simon Snow fan with her twin sister. Together they would read and reread the series, write fanfiction, discuss the series on forums, and even dress up like the characters and go to the movie premieres. Does this sound familiar at all? My first thought is that it parallels what many of us young adults went through with the Harry Potter series – watching it go from the page to forums to cosplays to dressing up for the movie premieres. Not to mention the infamous fanfiction that inhabits the Harry Potter internet space. Can we get some love for My Immortal? Unfortunately for Cath, it seems her twin sister, Wren, has begun to distance herself from that obsessive fandom lifestyle as they head to college and Cath’s not quite sure she’s ready to do the same. A book that highlights creativity and unabashedly loving things is the perfect springboard for a Tumblr book club and I suspect (though I haven’t read the book yet) that Cath and Simon Snow can be subbed out for anyone and what they’re obsessed with. And all of this doesn’t even mention the beautiful cover art for the book – done by an artist many people of Tumblr will recognize as gingerhaze. There are two ways to contribute to the discussion of Fangirl, by submitting to the Reblog Book Club Tumblr or by posting on your own Tumblr and tagging it with #reblogbookclub. A scroll through the tag shows a multitude of ways that people are showing their appreciation for the book already. There are many text posts, a bunch of pictures of the book – in both ebook and physical form, which I found the most interesting of all – and then there are many things I consider to be “tumblr typical” in the tag. There’s a gif response to the book, some nail art, a video post from one of the people helping to facilitate discussion about the book, a gorgeous bracelet inspired by the book, and a Fangirl fanmix that is all Kanye West songs for reasons yet unknown to non-book readers. There hasn’t been much fan art in the tag yet, but there’s already fanfiction for the Simon Snow series popping up – a fandom about a fandom within a fandom. Awesome. And these are only a few of the things I’ve found in the #reblogbookclub tag recently. If you’re interested in checking it out, I suggest you do a cursory scroll-through soon! The best part of the Reblog Book Club is that they’ve kind of put it on a schedule. From September 10, when it was announced, until September 16, they’ve asked people to keep posts mainly non-spoilery – and people have. During the week of September 17, the tag is going to begin being filled with discussion about chapters 1 – 12. The following week, chapters 13 – 24, and the final week (which is actually the first week in October), the final chapters, 25 – 38, will be discussed. After that, should all things go well, I assume the next book will be announced and the crazy process will start all over again. It’s not too late to join in! Keep an eye on our Tumblr, as at least one member of the Nerdophiles staff is going to read along with the Reblog Book Club and post their contributions to the tag. Are you going to be participating as well? Is Fangirl just not your cup of tea and you’ll be sitting out until the next round? Looking at the posts I’ve linked above, it’s silly to think there’s nothing to contribute to the discussion, so I hope that’s not holding anyone back. Let us know your thoughts on the Reblog Book Club, we’re excited to see how this all plays out! If we have linked to some of your original content that you would prefer not be linked here, please make us aware of that and we will be more than happy to take it down. I’m in! Reading it right now! insights andd beliefs, and even generate site visitors towards industries that fully grasp its purpose.